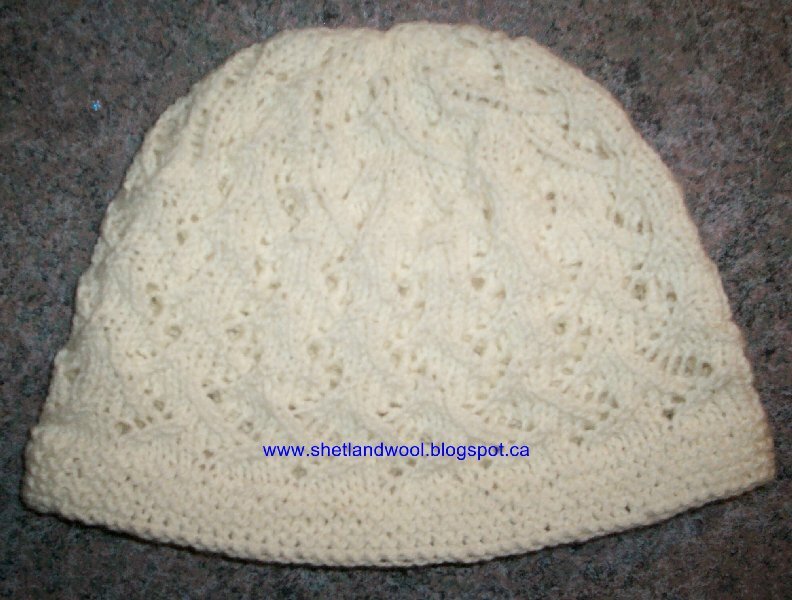 To Find the Lotus hat pattern pls go to the ''knitting patterns'' page above. Here is the link to the pattern: www.shetlandwool.blogspot.ca/p/knitting-patterns.html That will be the page that i post all free patterns to ..... go see ! You might also want to check out my other blog www.theqiviutblog.blogspot.com for a chance to win some Luxurious qiviut-muskox yarns ! The September and October blog will feature the Lotsu Hat Kit in 50% qiviut-50% merino and a Lotus 'Circle scarf'....... enter for your chance to win some gorgeous yarn to make this soft warm hat for yourself or to gift to someone special ! of Row 8 (the top part) I have 96 stitches. When I begin the 1st row of 20 that row only calls for using 91 stitches, so I have 5 stitches left over. Can you please help me to figure out what I am doing wrong. Thank you! I will go into Ravelry & take a look at this tomorrow to try & help you figure out where the pattern is going wrong for you.I will send the reply to this post. Were you able to find out what is going on with this? Thank you! Is there a link to this group? I cant seem to find it. I love this hat...is it your pattern? I would like to give more of an explanation as to what I am experiencing with this. Are you a member of Ravelry ? My Ravelry name is The-Qiviut-Fairy, check out my projects page for the Lotus hat kal & it will lead you to the group. There is no way to link it in the comments section but i will try to add a link to this post. You will need to reload the page to see the link ! This is not my pattern. I can't remember who supplied it.